A beautiful embroidered travel wallet, perfect for the frequent traveller to fill with all their travel essentials. 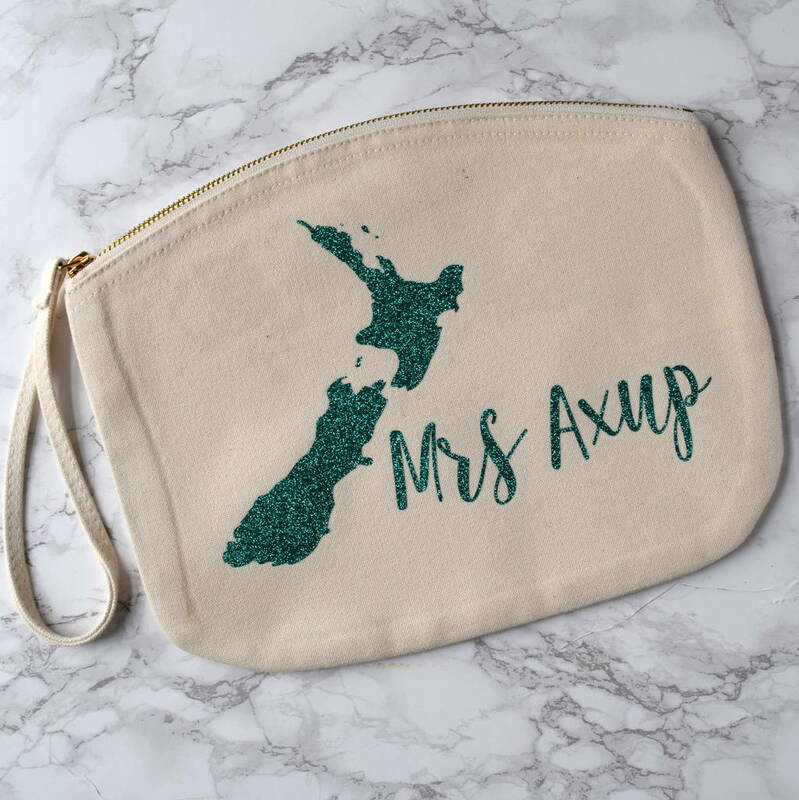 This beautful printed travel pouch with wristlet is an airport essential and makes a great travel gift for a frequent traveller. The travel wallet can be filled with all travel essentials, such as passports, tickets, insurance documents, sunglasses and toiletries. The bag is also a great memento for somebody off on a trip of a lifetime or off backpacking around the whole world and will need somewhere to keep all their travel essentials safe. 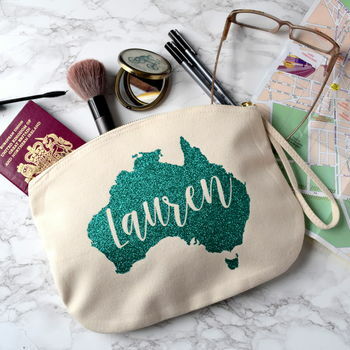 Can be personalised with the name and destination of your choice.